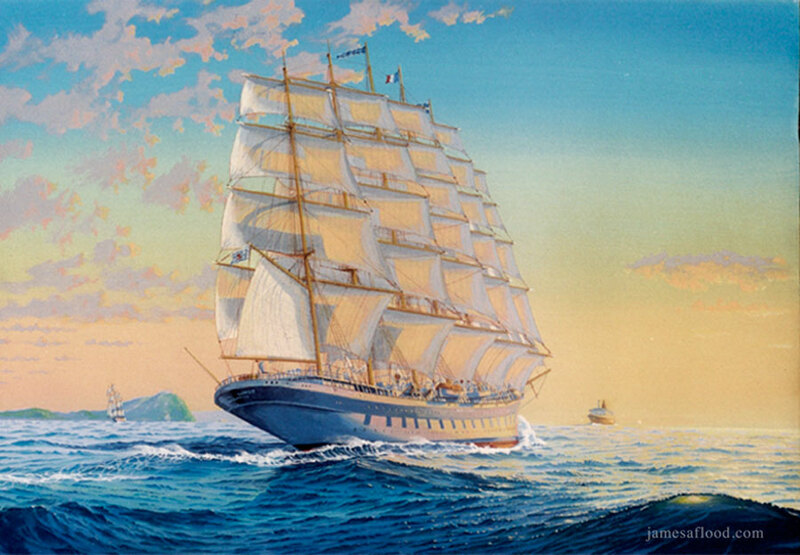 The spectacular five-masted sailng cruise ship Royal Clipper is depicted here sailing in the Mediterranean Sea early in the first decade of the 21st century. In the distance straight of her ahead sails RMS Queen Elizabeth 2. Prints from this painting are not currently available.